Cloud Computing – Kirti Telnet Pvt. Ltd.
“Cloud computing is the agent of digital disruption, and we can see that there are significant benefits to be had by businesses that pursue both Digital Transformation and Cloud strategies in tandem, ” stated Alex Hilton, CEO of CIF. To effectively execute a digital transformation strategy a company will need to pivot its business process multiple times. 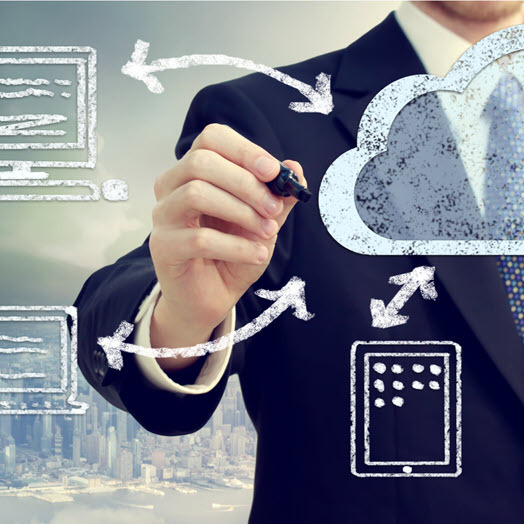 Cloud computing saves an organization from the hassle of investing in varying IT resources by providing required computing resources, infrastructure, and platforms on the go. This allows a company to be agile and flexible. Along with the flexibility to adjust requirements, the cloud offers a scalable service model where an enterprise only pays for the resources used. Hence not only it saves the capital expenditure of buying and managing IT infrastructure but also helps companies to effectively scale their resources based on requirements. If your database is stored in-house then you constantly face the risk of losing critical information due to data breaches, unexpected system shutdown, disasters, brute force attacks etc. In case of cloud hosting, you can easily create multiple backups of your data. This is especially beneficial when dealing with big data as the chances of system failures significantly increase in case of the big data analysis. For digital transformation to work, an enterprise needs to continuously innovate, test, implement and repeat. Cloud can provide companies with a platform where they can easily build, test and deploy applications without the need to setup complex infrastructure. Hence throughout the transformation phase, a company can experiment with multiple applications on different platforms. Digital transformation requires a company to adapt to a culture of innovation and creativity and leave the old hierarchical chain of commands. Cloud computing allows the files to be accessed from any place and at any time. It is also possible to control the level of authority of user thus ensuring optimal delegation. Overall it helps create an atmosphere of collaboration and teamwork in the company.